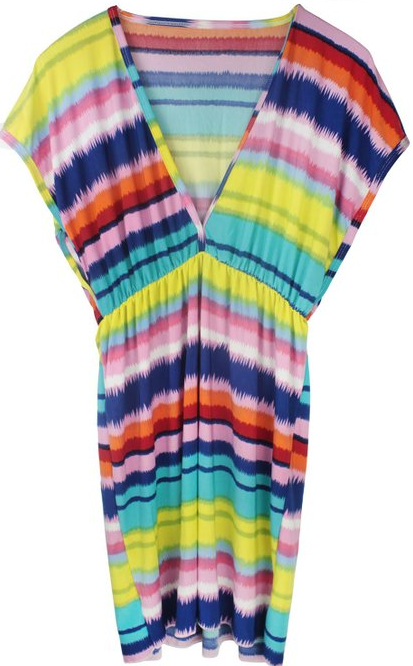 V-Neck Swimsuit Cover-Up Only $7.59 PLUS FREE Shipping! You are here: Home / Great Deals / Amazon Deals / V-Neck Swimsuit Cover-Up Only $7.59 PLUS FREE Shipping! can get it in either Rainbow or Zebra print!